I’m not a big fan of a strong and noticeable make up. It’s just not my style, it doesn’t suit me and I wouldn’t feel comfortable to wear it on a daily basis. I don’t judge those who like it, we are all different, right!? Nights out are the perfect time to put “a new face on”, especially because the dark around us can make us plane looking. 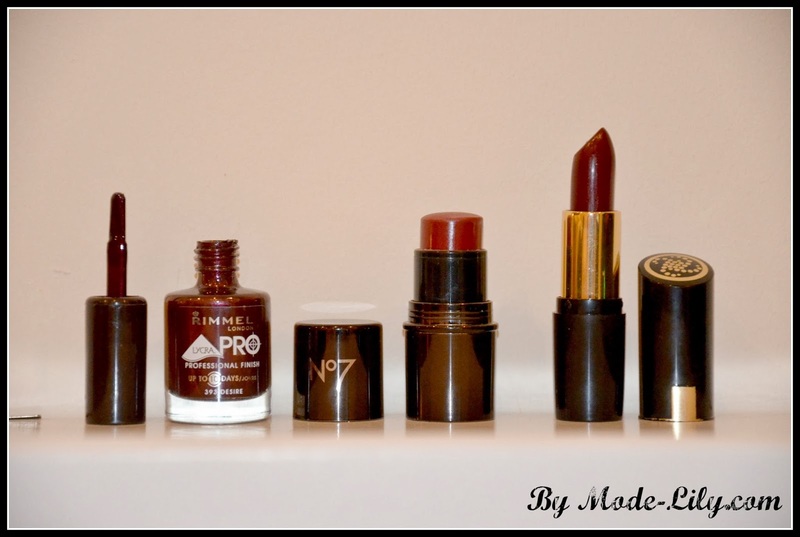 For my Christmas party look I used most of my make-up favourites and some newbies! 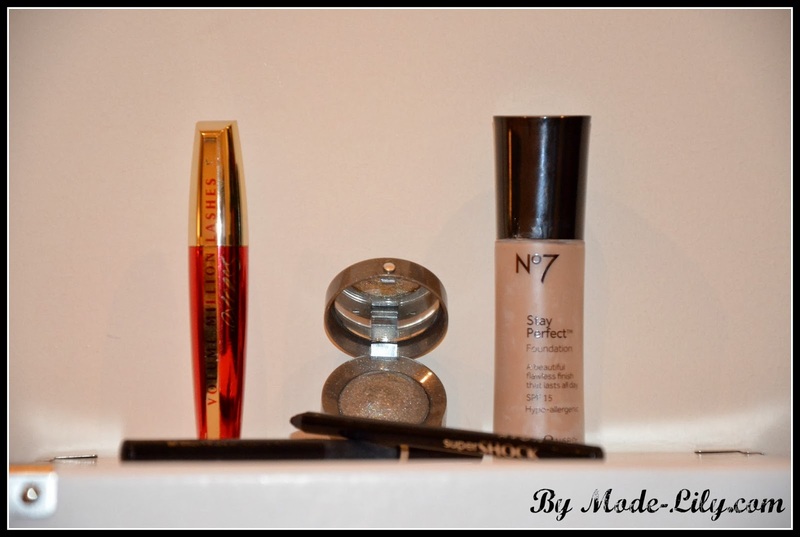 No7 Stay Perfect Liquid Foundation, Calico shade. This foundation is very easy to use and with the help of a No7 Foundation Brush spreads very evenly. I like using it as it stays on for quite some time. This is perfect if you’re going out without having to worry if your make up is still on. For my cheeks, the decision was very easy. No7 Blush Tint Stick #05 Rosebud is my favorite at the moment. You can read my review about this great product here. L’oreal Volume Million Lashes mascara is my best friend. I don’t know where I would be without this product, as it really makes my eyelashes fuller and longer. For my top eye line I’ve used L’oreal Super Liner Eye Liner, Perfect Slim. 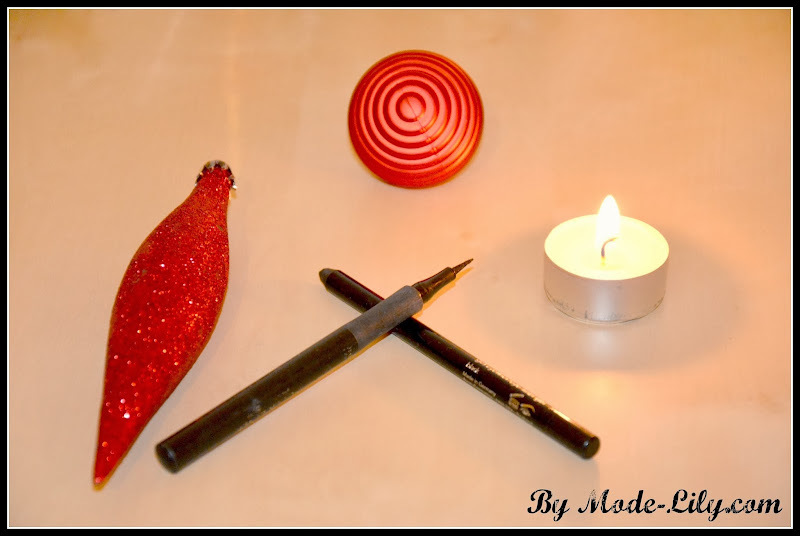 The tip is very slim, but also slightly hard as well, which makes it extremely easy to apply and create a nice line, thick or thin, depending on your preference. The bottom line was done by using Avon Super Shock gel eyeliner. The black is very black so I had to smudge it with a No7 Eyeliner Brush. This Christmas is all about sparkle and because my dress is quite dark, I decided I’ll make my eyes pop out. I went for Bourjois Little Round Pot #11. They added the right shimmer and because they nicely stick to your skin, there is no need for you to re apply them during the night! My nails and my lips were kind of united that night. The shades I used were very similar, dark red, which complimented the dress in a very nice decadent kind of way. Lipstick is by Collection 2000, Gothic Glam, Revenge. It actually is a bit darker than it is on the picture and I absolutely love this colour. This is the lipstick of winter 13/14 for me. The Nail Polish I decorated my nails with is by Rimmel. Unfortunately I couldn’t find this shade on the Rimmel website 🙁 So you’ll have a look at the picture. So, do you like me Christmas party look? If you would like to have a look at my party dress, check out this post: My Christmas Party Dress. If you need inspiration on what to wear to a Christmas party: Christmas Party Dress Ideas. Next Post Secret Santa Part 1 – What did I buy? Thank you Sophie! The lipstick is actually darker and it's just amazing! Thank you! It's really great for night outs!